Internet has made Cyber Monday extremely popular. Internet has made Cyber Monday extremely popular. In fact, it won't be wrong to say that Cyber Monday gives a fierce competition to Black Friday with regarding to shopping. 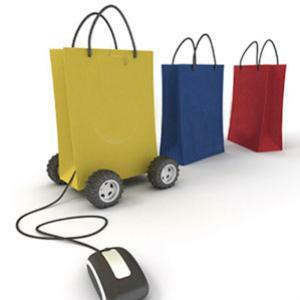 It gives a chance to the online retailers to make profits in the festive season. As per the report of com.Score, consumers shopped for $1.25 million on Cyber Monday in the last year, marking it as the biggest online shopping day in the history. Try to be a smart shopper on the coming Cyber Monday. Check out the 5 tips to save your bucks on the biggest online shopping day. 1. Create a list and check it twice: The first tip will be to make a list of the items, recipients and contact details. Check the list as many times you can. This will help you avoid accidentally purchasing 4 gifts for your brother and nothing for your friend. If you correctly note down the contact details on the list, then it'll help you take advantage of various shipping deals on Cyber Monday. This will enable you to save money. 2. Buy products at a good price: Check out your list once before surfing Internet. Your aim will be to buy the required items at the best price. Check out the official website of ConsumerReports.org to find out good products. You can see the current price of the products at some financial websites. Thereafter you may visit certain websites to make a comparison between your requirements and the price you're offered. 3. Notice the hidden costs: Don't be too attracted to the deals where you get items at a very low price. Shipping costs, sales tax, and other additional costs can increase the cost of a low-priced item to a great extent. So, watch out for the hidden costs as well. Never think that the displayed price of a product is the actual cost. It may not include the additional costs. Find out the true cost of an item before purchasing it on Cyber Monday. 4. Be the first person in the virtual line: Some items are offered only in limited quantities. This implies that you'll have to be the first person in the virtual line to grab the deal. Watch out for the word "limited supply". If you see this word, then your next task will be to know the time when the sale will start. You can be prepared accordingly. For instance, you can wake up at 3pm to grab an item at the lowest price. 5. But only what you need and not what you see: Your goal on Cyber Monday is to purchase gifts at a low price. So, don't purchase any item which is of no use to you. For instance: if you're getting a card reader at a low price, then don't click on the âbuyâ button immediately. Think if you really need this thing. If you don't want to use this item in future, then spend your money on some other things instead. Finally, you can try to use coupon to save dollars on Cyber Monday. This will help you cut down the cost of the items. Page loaded in 0.189 seconds.